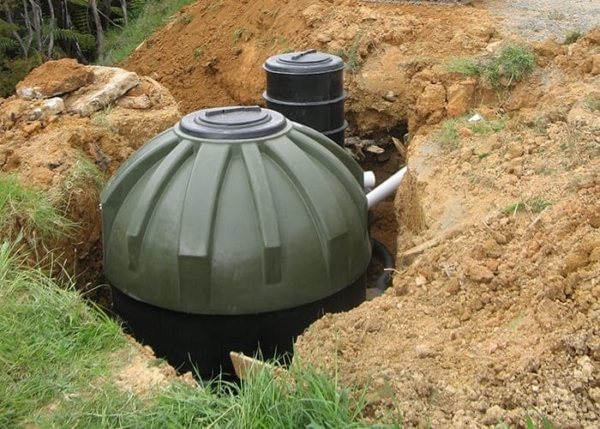 The NaturalFlow Series NF8000 Treatment System was developed to meet the needs of rural New Zealanders for a robust, cost effective wastewater solution for 3 – 8 bedroom houses, sleepouts, baches, recreational dwellings, farm accommodation, rural commercial facilities with up to 40 day staff, schools, marae, camp grounds, holiday homes, motels, golf clubs, cafés, stables or other animal facilities. The NaturalFlow Series NF8000 Treatment System, developed and manufactured in New Zealand for New Zealand conditions, is designed to quickly and efficiently turn all your wastewater into high quality irrigation water, through biological purification techniques and processes, that require no electricity or moving parts. As a result of this; maintenance and operational costs are extremely low, and reliability maximized.